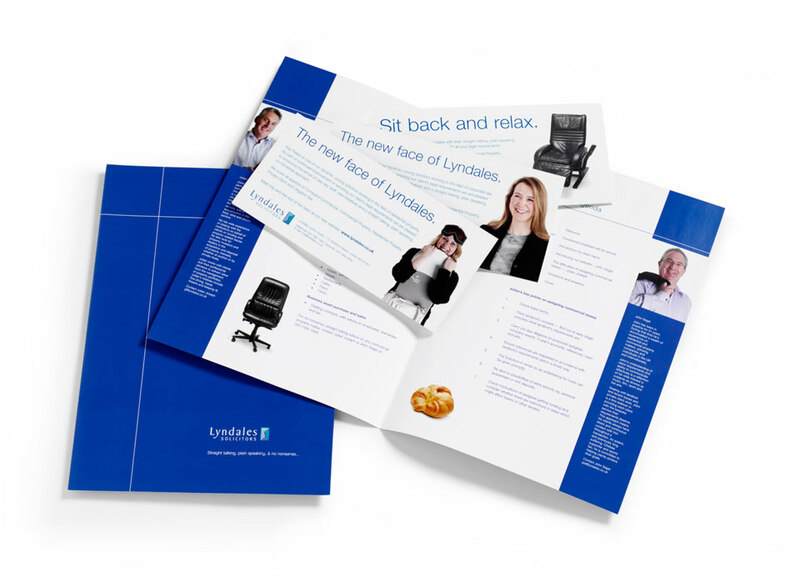 London based solicitors Lyndales needed a look and imagery which reflected their no-nonsense approach. To create imagery and graphics for printed and electronic media. People who want uncomplicated advice on personal and business matters from experienced and friendly lawyers. They don’t want to be overwhelmed with legal jargon. This firm talks in a straightforward way and doesn’t over complicate things. I can trust them and won’t be hit with huge fees. They have character but speak plain English!. Lyndales – straight talking, plain speaking and no nonsense! A friendly approachable feel in their material with simple but sometimes thought provoking imagery, backed up the proposition. They received over 80 compliments when their site went live.